April is Distracted Driving Awareness month, meaning police officers are out in full force across the country cracking down on unfocused drivers. 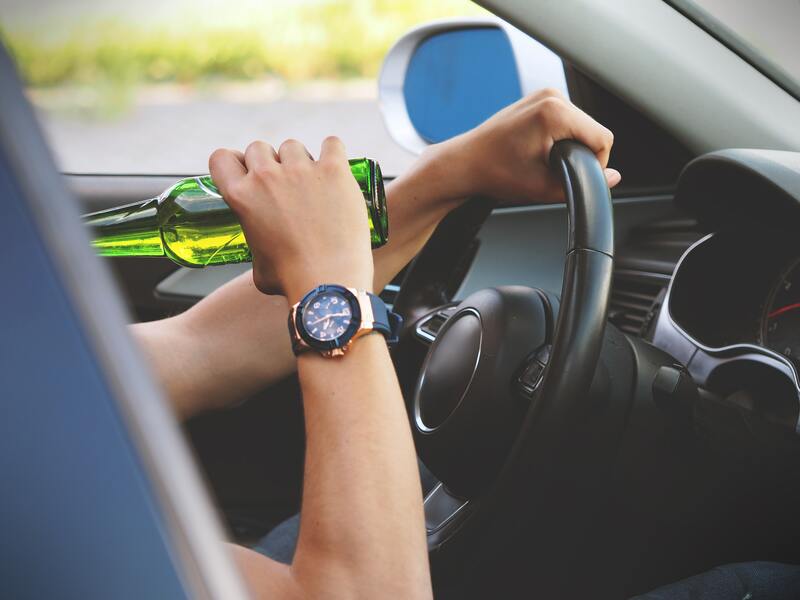 It’s very easy to get distracted behind the wheel, but unfortunately distracted driving is one of the most common causes of motor vehicle accidents in the United States. Car accident lawyers say negligence is the number one cause of accidents resulting in injury, including a driver’s choice to text and drive or drive under the influence. If we can spread awareness about the dangers of distracted driving, it could keep unnecessary dangers off our roads. Cognitive Distraction. Cognitive distractions include anything that could take your mind off driving. If you’re going through an emotional or stressful time like a breakup, family, or work-related issues, your might can be focused elsewhere. Distractions like these can cause you to pay less attention to your surroundings. Visual Distraction. A visual distraction is anything that causes a driver to take their gaze away from the road ahead. This includes anything like checking on the kids in the back seat or looking at your GPS system. Manual Distraction. This is anything that takes your hands off the steering wheel. While driving, it’s encouraged to keep both hands on the wheel at all times so you can quickly react in case of a potential accident. Each of these activities can pose a serious risk if performed while operating a vehicle. How Dangerous is Distracted Driving, Really? Distracted driving is one of the leading causes of car accidents. The NHTSA claims 3,166 people were killed in distracted driving accidents in 2017 alone. Texting is the most common instance of distracted driving on our roads. Sending one text message takes our eyes off the road for an average of five seconds. At 55 miles per hour, you can travel the length of an entire football field in those few seconds. You might as well be driving with your eyes closed. Teenage drivers are the most susceptible to texting and driving. 7% of the people who died in distracted driving accidents in 2017 were between the ages of 15 and 19. In the same year, 9% of all teen car accident deaths involved distracted driving. Preliminary data from 2019 shows 36% of 18 to 24 year olds admit to texting while driving. 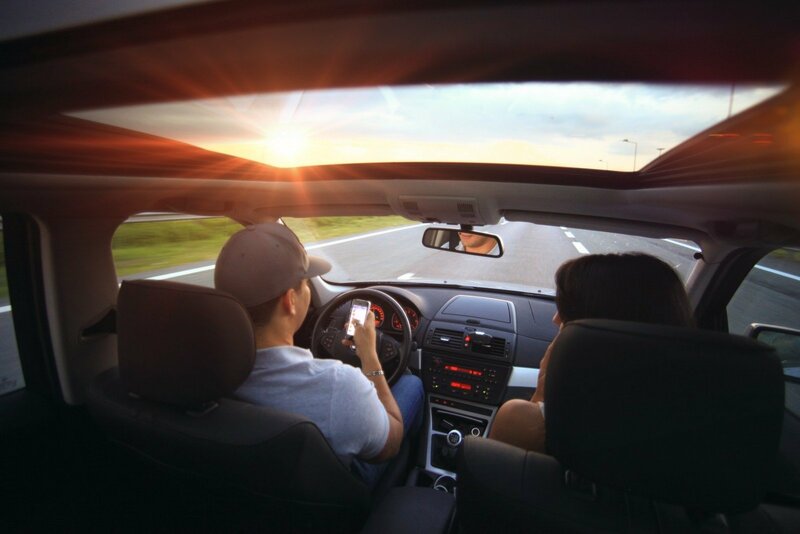 Those who admitted to texting and driving are nearly twice as likely to continue engaging in cell phone use while behind the wheel than other respondents. In general, teens have the highest rate of fatal crashes among any group of drivers. This is due in large part because of their immaturity, limited skills, and lack of experience behind the wheel. Teens are more likely to speed, make mistakes, and fall victim to distractions — including texting and driving. Much of the attention around Distracted Driving Awareness Month is targeted to high school students, in an effort to educate young drivers on the dangers of texting behind the wheel. While distractions are common, there are a few ways you can limit them. Turn your phone off or put it away before you start your car, and only use it in case of emergencies. If you’re drowsy, pull of the road. Drowsy drivers are nearly four times more likely to crash than well-rested drivers. Mostly, don’t attempt to multi-task while behind the wheel. Driving is such a big part of our lives that it can become background to the rest of our tasks throughout the day. But it’s important to remember that you are still operating a very heavy motor vehicle, and car accidents are the most common cause of death and injury. Eating that sandwich, sending that email, or changing that song can wait.